NEW BRITAIN – Select Physical Therapy, the City’s division of Select Medical, changed management in February. Select Medical was co-founded by Rocco Ortenzio and Robert Ortenzio in 1996. Select medical has over 1600 locations in 37 states, and there are 52 locations in Connecticut. The New Britain Select Physical Therapy location opened in 2009. It is an outpatient orthopedic physical therapy practice, located at 1 Liberty Square. The new center manager is Kevin Fiori, of New Britain. Fiori was a staff therapist at Select Physical Therapy for two years, before he started his new role in February. “I’m always looking for a new challenge and this was the next step for me,” Fiori said. Fiori told The Herald that even though he likes being a therapist, he enjoys the managing part of his new role. Fiori said that because he grew up in New Britain, he finds delight in serving this community. The center sees and treats a wide variety of musculoskeletal injuries and post surgical orthopedic patients. Fiori said that the goal at the New Britain Select Physical Therapy is to make sure patients go back to fully function, so that they can do things that they were not able to do before their therapy. “We like to get rid of the pain that they have so they can go back to being happy,” Fiori said. 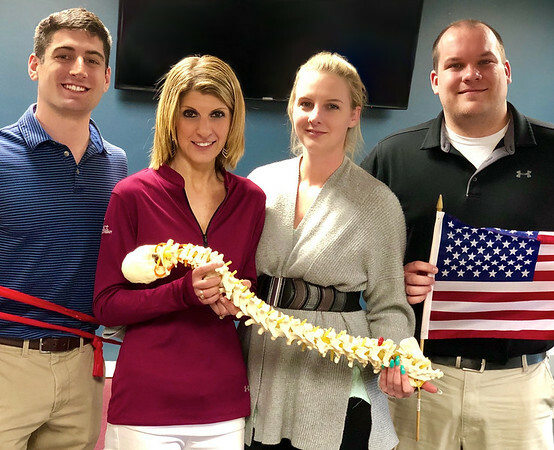 Fiori said that Select Physical Therapy is the largest outpatient physical therapy provider in Connecticut. The New Britain center counts with three physical therapists, and two patient service specialists. Select Physical Therapy is open Monday through Friday from 8:00 a.m. to 7:00 p.m. and Saturdays from 8:00 a.m. to noon. They can be reached at 860-224-9422. Posted in New Britain Herald, Business, General News on Friday, 15 June 2018 20:46. Updated: Friday, 15 June 2018 20:48.